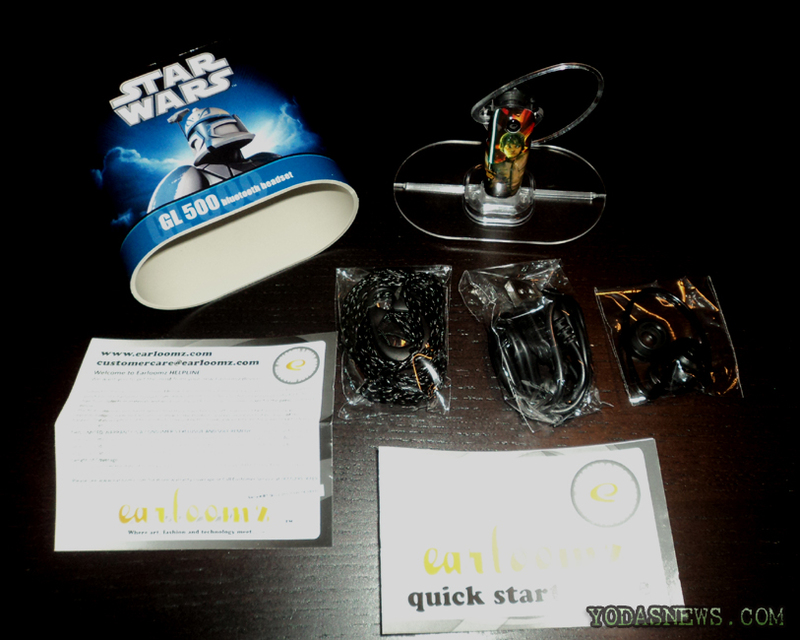 Earloomz are branded as: "a stylish extension of your personality. Sleek design, combined with advanced Bluetooth technology, offers superior comfort and functionality. Not only does Earloomz provide quality hands-free capability, it’s also fashionable. 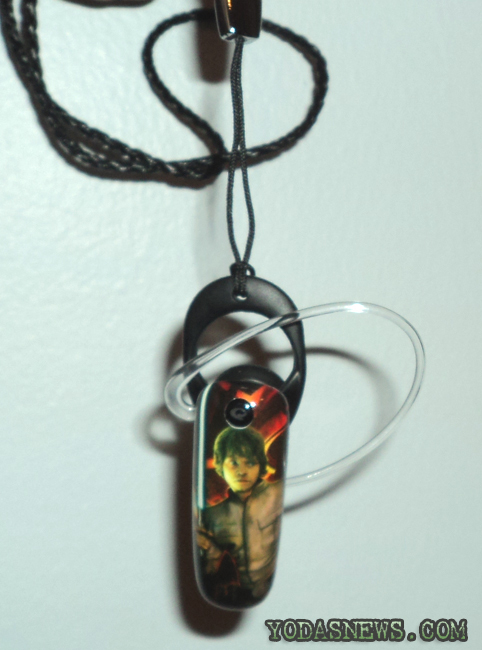 With hundreds of graphics and images to choose from, Earloomz devices are customized to match your individual style. Represent your favorite, cartoon character, or nationality. The possibilities are endless. Earloomz style and technology set it apart from any other wireless device on the market. 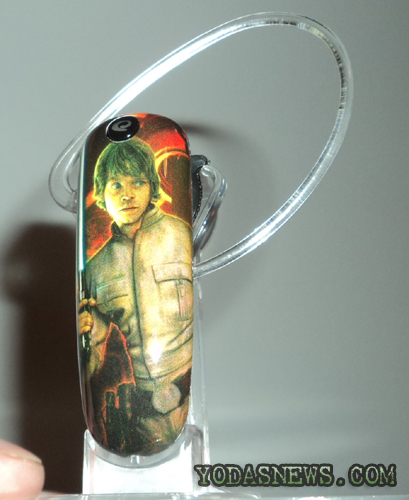 The unique patented design provides an earpiece that operates without bulky buttons or additional external pieces. This allows for easy accessibility and greater comfort." 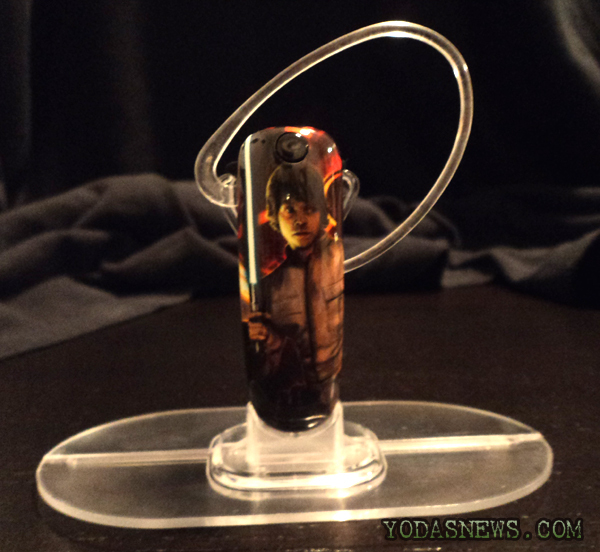 Today, we take a look at not only how the Earloomz Star Wars Bluetooth Luke Headset looks, but also how well it works. 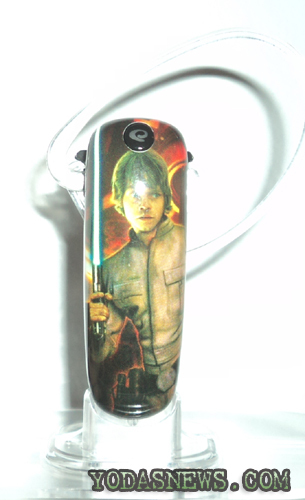 Earloomz recently created a Star Wars line of Bluetooth headsets. 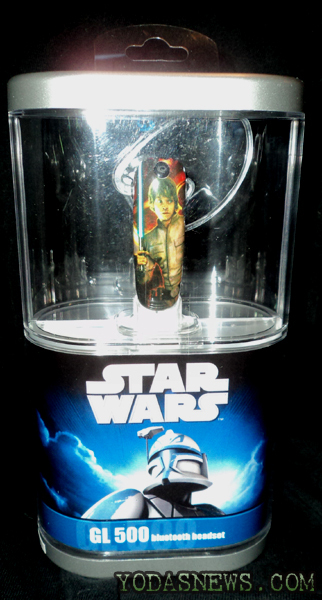 The debut line features, several Darth Vaders, a Stormtrooper, CloneTrooper, Boba Fett, Yoda and the Luke, featured in this review. You can click here to see them all at the Earloomz Site. The unit comes un-charged so after we unpacked it, we plugged it in via USB and in under 2 hours, it was ready to go. 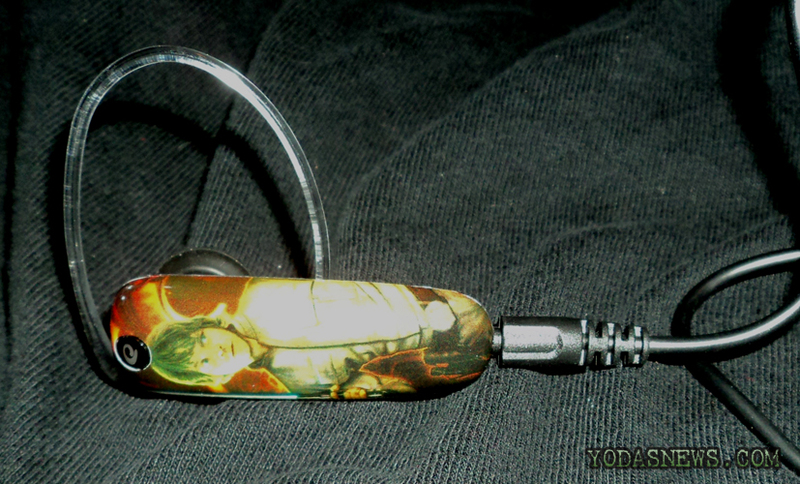 The unit itself is lightweight, comfortable to wear and the sound quality is phenomenal. We paired it with an Iphone 4 and a Droid X and it took all of 10 seconds. There are step by step instructions included, but it's as simple as holding down the power button until it flashes blue and red and clicking on the device name on your phone. We even paired it with our PS3 and it worked great for Call of Duty and may just be our new Headset for online gaming! It also comes with a Lanyard Holder. At first I wondered really how much use I would get out of it, but it's actually comes in handy already. The unit fits snug and secure in it and if you use your headset in the car, it's a nice way to store it so you don't lose it or damage it and if you take it on the go and don't want to keep it on your ear at all time, it's discreet enough for you to attach it to and put it under your shirt or coat. The only downside we found was that you can only charge this via USB. For us, that is not a concern because we have several USB devices that charge it up quickly (even our car cell phone charger has a USB port on the front) - But for those who prefer a stand alone, plug it in the wall charger, you'll have to drop a few bucks and get an adapter. With a price of $59.99, we have to give this a rating of Excellent (4.8 of out 5) - dropping just a few shy of perfect for the charger. 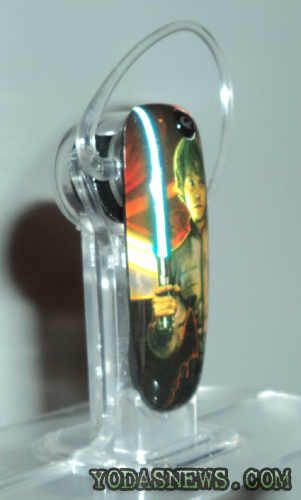 The construction, quality and technology of this headset is unlike others we have had (and sadly paid more for) and is well worth it for any Star Wars fan. Even if don't want to use it for your mobile device, it makes a great wireless gaming headset. You can order them right now at this link.